3.6.1.1. 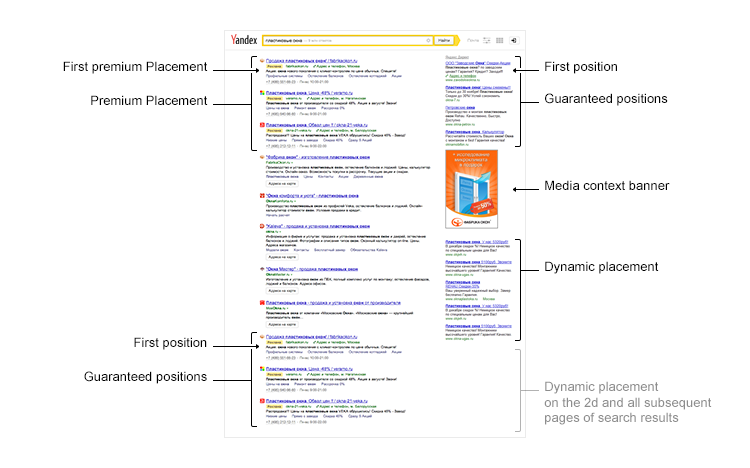 The User will see the headline of the ad, Link and Image (according to the restrictions set in these Rules), while display of the whole text of the ad will be performed after the first Click on such ad (on mobile devices and tablets), or after moving the computer mouse cursor on such ad (on the display of the PC). The full-size image will be shown, when pressed and held (on mobile devices and tablets) or after moving the computer mouse cursor on it (on the display of the PC). The terms and conditions of this clause shall not apply to the Smart Banners. 3.20. Ads may be displayed both for key words/phrases selected by the Advertiser and for automatically specified synonyms of key words/phrases selected by the Advertiser. 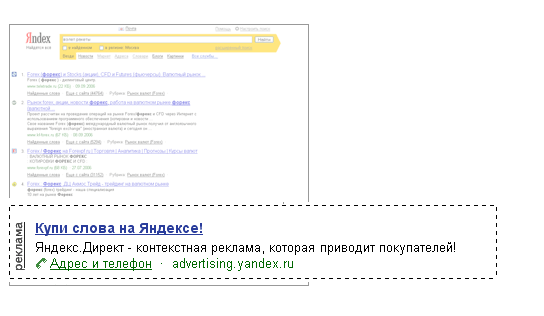 The Advertiser could exclude displays for particular key words/phrases from among automatically specified synonyms by way of addition of such key words/phrases to negative key words (https://yandex.ru/support/direct/features/campaign-negative-keywords.xml). 3.21. 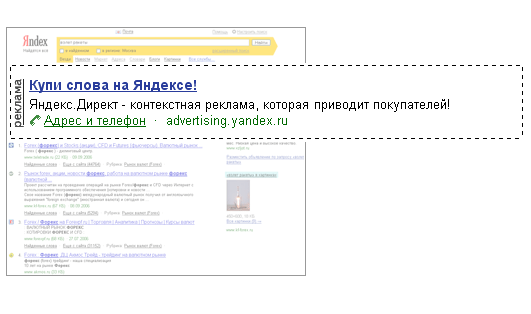 If the Advertiser does not accept the additional functions specified in this section, the Advertiser shall contact the help desk via the feedback form at: http://feedback2.yandex.ru/direct/. The above warnings shall be added to Ads automatically by determining themes of Ads and/or via the customer support service using the feedback form at http://feedback2.yandex.ru/direct/. In this respect, if Image Ads are placed, the Advertiser shall provide the said Ads with warnings already included pursuant to this cl. 5.1 of the Ad Serving Rules (including by creating ads using Ad Builder). The Advertiser shall ensure that themes of Ads are determined properly and the required warnings are unfailingly added to Ads with themes in question. 5.5. When displaying ads for automatically specified synonyms of key words/phrases selected by the Advertiser, and if the Advertiser uses the “Impressions for Additional Relevant Key Phrases” option, the Advertiser shall ensure that the automatically specified synonyms of key words/phrases selected by the Advertiser and/or the added key words/word groups comply with legal requirements including those of the Federal Law “On Advertising” dated March 3, 2006, No. 38- FZ, and the Federal Law "On Protection of Competition" dated July 26, 2006, No. 135-FZ. With regard to the use of the “Impressions for Additional Relevant Key Phrases” option, the Advertiser may fix a cost of service limit as a percentage of the total cost of services. This limit shall be applied to the cost of services rendered not less than during one week after the date such limit is fixed. Previous version of the document: https://yandex.kz/legal/direct_display_rules/23062017/. Previous version of the document: https://yandex.kz/legal/direct_display_rules/25042017/. Previous version of the document: https://yandex.kz/legal/direct_display_rules/13042017/. Previous version of the document: https://yandex.kz/legal/direct_display_rules/23032017/. Previous version of the document: https://yandex.kz/legal/direct_display_rules/08022017/. Previous version of the document: https://yandex.kz/legal/direct_display_rules/01022017/.